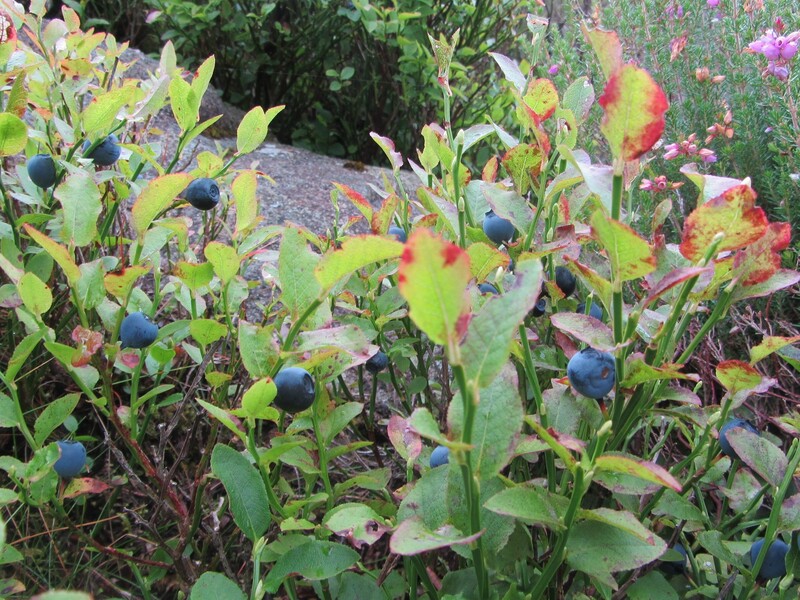 This year has been a good year for bilberries on the moors. The tiny pink flowers appear in spring and are replaced with tasty purple berries as August approaches. They are delicious to eat right up there on the moors, or to pick and take home to be transformed into bilberry and apple pie or bilberry jam. My mum’s old recipe for bilberry jam is 2 1/2 lb of bilberrys, 1/4 pint of water, 3 tbsps lemon juice, 3 lbs sugar and pectin (quantity as recommended by the manufacturer on the bottle or packet). Simmer the cleaned fruit, water and lemon juice for about 10 – 15 minutes, then add the sugar, stirring until dissolved, boil for 3 minutes stirring occasionally. Remove from heat, add the pectin and put into jam jars. Delicious! Late summer and early autumn is the time for berries. 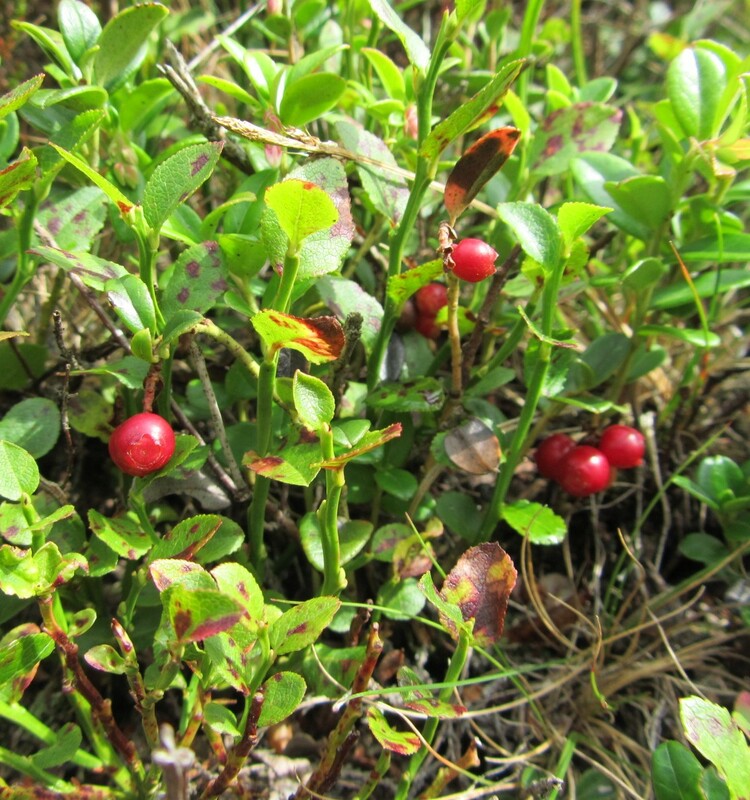 On the hills and moorlands of the Dark Peak, billberries are very common and occasionally you can also see cowberries. We found these cowberries in the Upper Derwent Valley. There is an old wives tale that says if there are a lot of berries on the trees in then we are in for a bad winter. In autumn 2009 the trees and bushes in the Peak District were quite literally hanging with berries, and the winter of 2009/1010 turned out to be the worst that we have had for 20 years. This year there again seems to be a lot of berries on trees such as Mountain Ash, Elderberry, Holly, Hawthorne, and on the wild roses. Does that mean we are in for another bad winter? What is your prediction?